Captain America: The Winter Soldier is an action-packed battle game for Windows starring the formidable super hero. In Captain America: The Winter Soldier you play the part of famous patriotic hero. With the help of sidekicks from the S.H.I.E.L.D Strike Team you must take down the hoards of dastardly villains who are tearing the city apart. 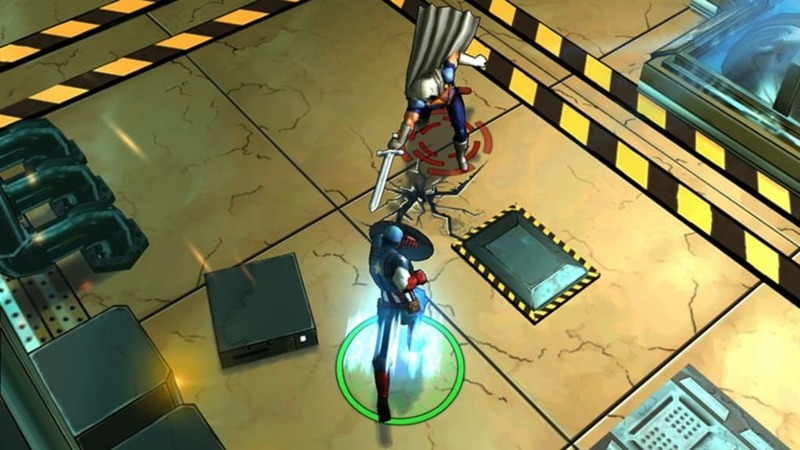 Captain America: The Winter Soldier is a fun hack-and-slash romp, although it breaks little new ground. Besides walking around bashing bad guys with your fists you can attack with a range of bombs and weapons. This includes the ability to throw your shield at enemies (which is a lot of fun I might add). The game has a strategic element to it, too. 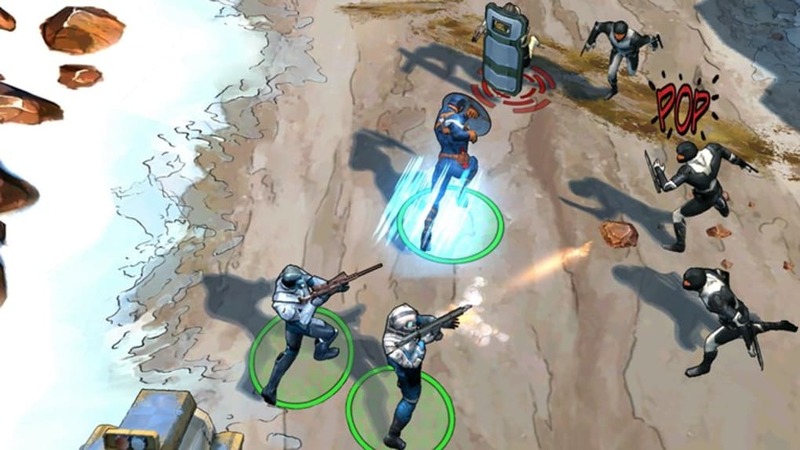 As you progress you must recruit new S.H.I.E.L.D agents to help you tackle the increasingly mean opponents. You'll need to upgrade these as you go, using game currency, which can be earned or purchased. Captain America himself is upgradeable, too. Other strategic aspects of Captain America: The Winter Soldier include a Research facility where you can tool up your team, and HQ buildings, which when upgraded allow you to accommodate more team members. 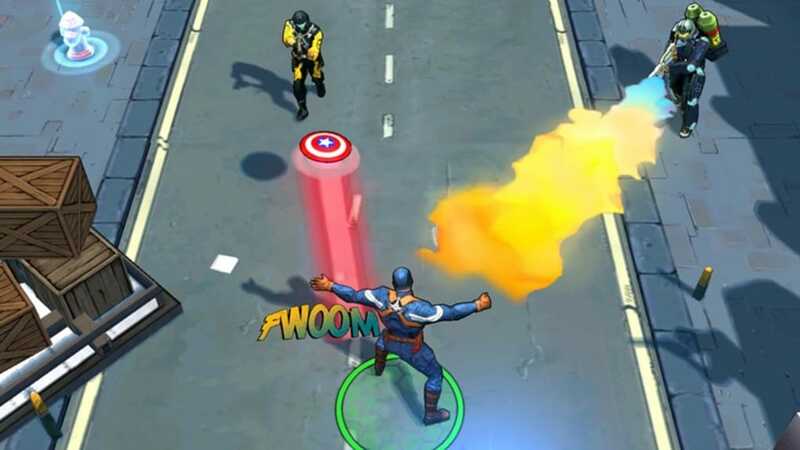 Captain America: The Winter Soldier includes a challenging asynchronous multiplayer mode, where you can join a clan and battle it out with other players. Online leaderboards give you an incentive to fight on to be the best. Controls in Captain America: The Winter Solider are well explained through the interactive guides in the first couple of levels. 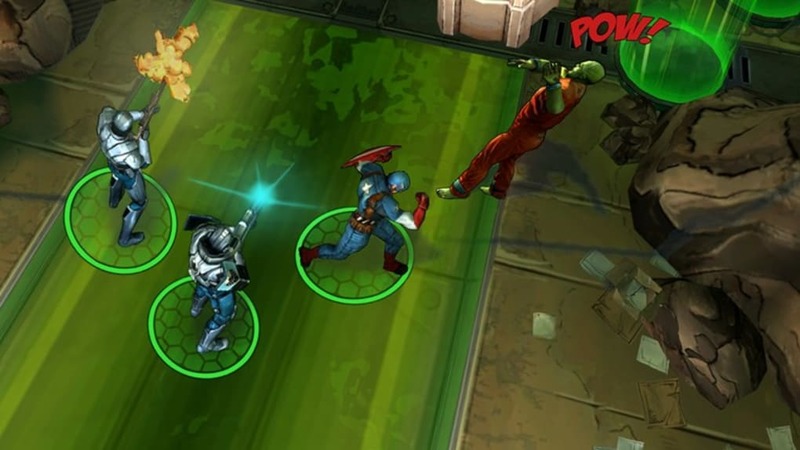 The game uses the same tap-to-move control system as Gameloft's previous game, Thor: The Dark World, though there's an on-screen joystick in the corner of the screen if you prefer. The tap-to-move is simple enough to get to grips with though, and the attack buttons are comfortable to use. Captain America: The Winter Solider looks fantastic. It really captures the spirit of the original comic books, from the bright colors of the action to the text that pops up when you hit someone to announce a sound effect ('kerrpow', 'thwack', etc.). 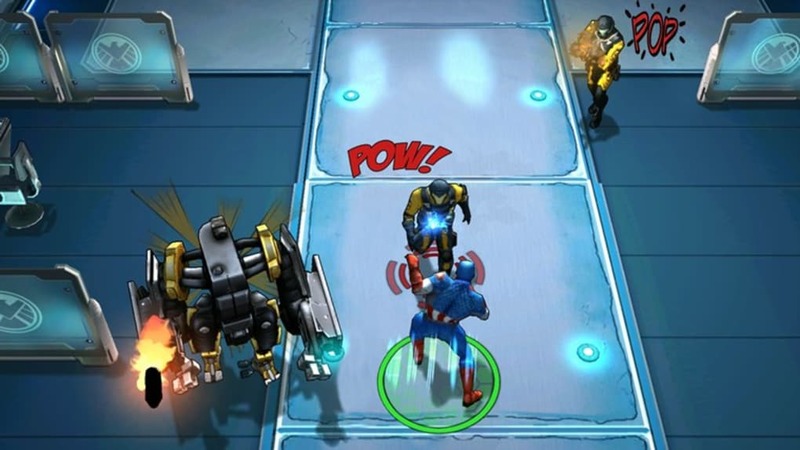 Many of the popular characters from the Captain America stories crop up in the game, including Black Widow, Falcon, King Cobra, and Taskmaster. The booming cinematic soundtrack fits perfectly with the action in Captain America: The Winter Solider, and the sound effects are good. Unfortunately there's no voice acting in this particular Gameloft super hero game, and all the cut scene dialog is text-based. Captain America: The Winter Solider will appeal to Marvel fans everywhere. 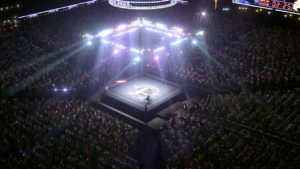 It's packed with action involving many favorite characters, and there's plenty of life in the game to keep you playing for a while. 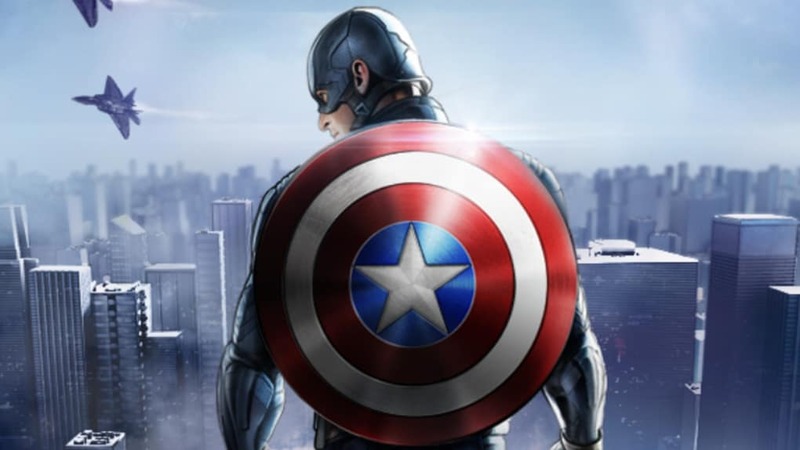 What do you think about Captain America: The Winter Soldier (for Windows 8)? Do you recommend it? Why?